The National Lentil Festival is right around the corner, and it's the festival's silver anniversary, so it's not too early to start getting ready. The festival's Legendary Lentil Cook-Off is accepting recipes for the annual competition, which is revamped for the festival's 25th birthday with a $2,000 grand prize. The deadline is 5 pm on Monday, June 17. The National Lentil Festival is Aug. 16-17 this year in Pullman. Things not to miss are the world's largest bowl of lentil chili (350 gallons), Li'l Lentil Royalty, the Tour de Lentil Bike Ride and, new this year, a performance by former American Idol candidate Casey James. 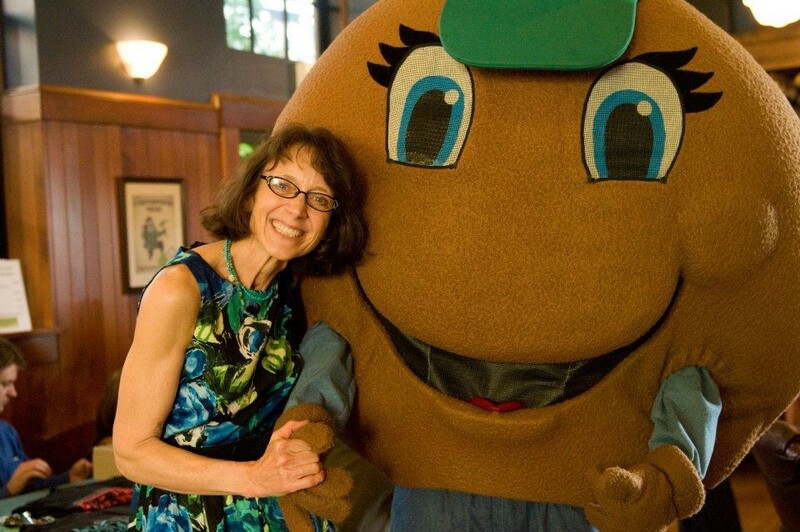 If you have no other reason to be excited, be excited about this: the festival has a mascot, a lentil named Tase T. Lentil. Here he is with poster designer Laurel Macdonald.